2008, 2009, 2010, 2011 & 2012 70.3 World Championships. 2010, 2011 & 2012 Kona Ironman World Championships. Keep up to date on the Gel Ladder and racing with the Gel Ladder Team by clicking on this icon. More aero than the box, more convenient than tape, the Gel Ladder allows you to attach energy gels to your bike in an easy to reach and always available place. No more having to ride around with a lunch box hanging off your top tube collecting junk, the Gel Ladder is simple to install, simple to use and will not leave sticky tape residue on your bike when you're not using it. The Gel Ladder also acts as a reminder for you to eat by placing your energy gels right under your nose and allowing you to easily see how much you've eaten. 1. How securely are the gel packs held in place?? 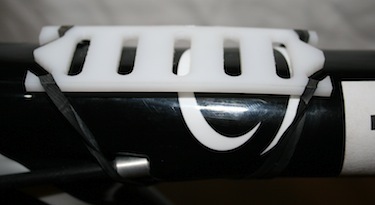 We've used the Gel Ladder on Triathlon, TT, road and mountain bikes and have never lost a gel pack yet. The bands that attach the Gel Ladder are strong enough to hold the gel packs in place through most terrain. 3. How many gel packs can the gel ladder hold?? The first version of the Gel Ladder is designed for half Ironman distance events and carries 5 gel packs. There will soon be sprint and full Ironman versions of the gel ladder that will hold 3 and 10 gels each. 4. Can I use multiple Gel Ladders on one bike?? Yes, multiple Gel Ladders will fit on one bike if you need additional nutrition for a long event. 5. What brand of gel packs can be used with the gel ladder?? The gel ladder will work with any of the current gel pack brands including GU, Powergel, Crank Gel, Clifshot and many others. 6. What happens if I snap or lose the elastic straps that hold the Gel Ladder in place?? get thrown away and fill landfills. We've recycled them to secure the Gel Ladder to your bike. They're perfect for the job and you can easily find more if you need to. 7. 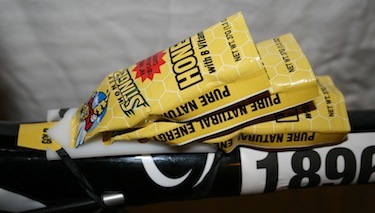 When I tape gel packs to my top tube I sometimes scratch the inside of my legs on them when riding out of the saddle. How do I stop this?? When you insert the gel packs into the Gel Ladder you fold the edges over to make it slimmer. When folded correctly the gel packs will not be as wide as normal and will be much less likely to touch your legs while climbing a hill. 8. What is the Gel Ladder made from? 9. How much does a Gel Ladder weigh? The Gel Ladder weighs just 0.2 ounces or 7 grams. This is 1/10th the weight of the lunch box style Gel Holder. 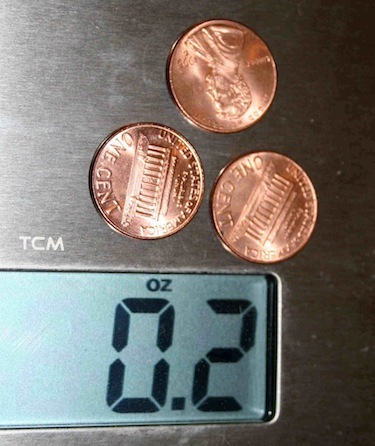 0.2 ounces is about the same as 3 US pennies. 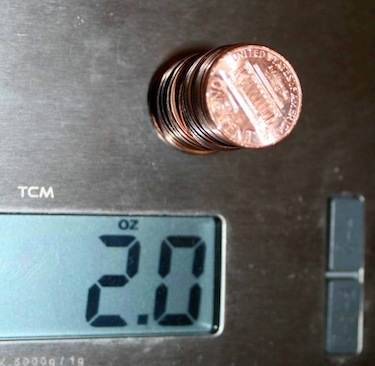 The Bento Box style gel holder weighs 2.0 ounces or about 23 US pennies, What would you rather carry around at your next race? How about an iPad Case from DODOcase?